My littlest recently found her first favorite book at the library. She pulled this book out at every reading time, and other times, for the whole six weeks we were allowed to keep it. The other thing my toddlers love right now is "dumping". "Dumping" is an imprecise term my three-year-old also uses to mean pouring. Milk is dumped at the breakfast table. Water is dumped on sister's head at bath time. The toys are dumped while Mommy is cleaning up. We love dumping. 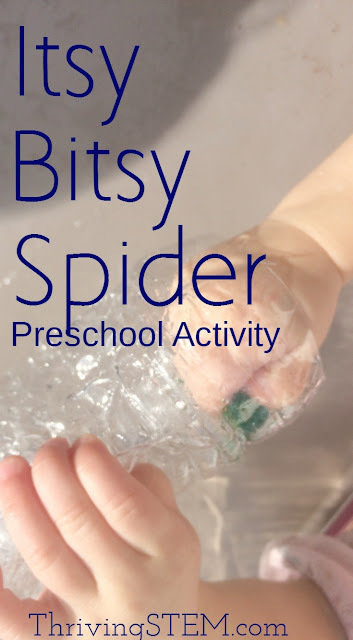 I gave my toddlers a chance to act out the Itsy Bitsy Spider, and indulge their pouring impulses at the same time. When toddlers do an activity repeatedly, it's the signal that they're brain is ready to master a new skill. 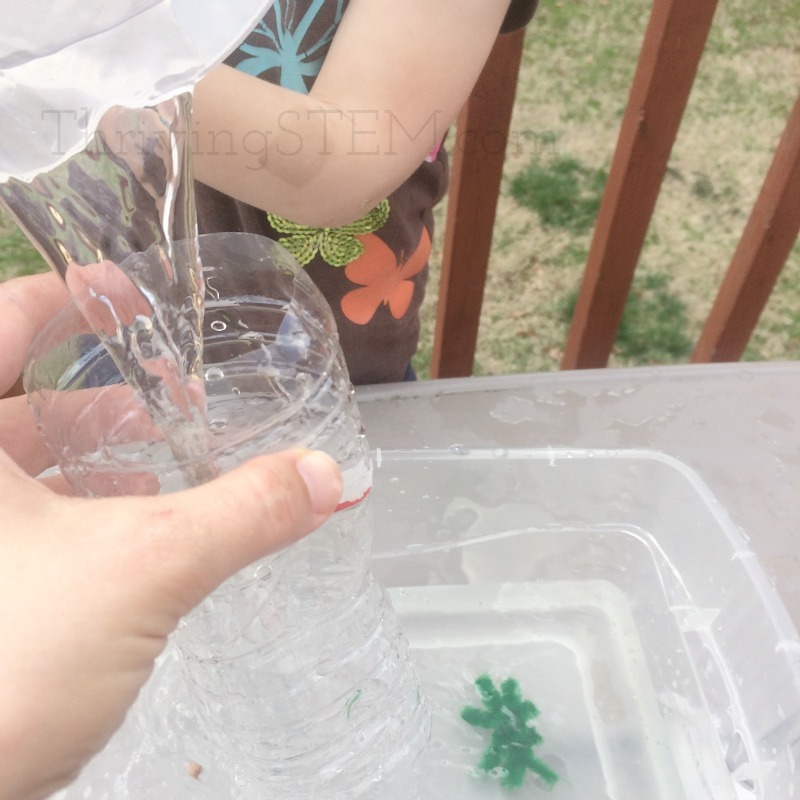 My girls (ages 1 and 3) have done this water play activity twice so far, and it's been a big hit both times. If you like doing activities in the bath tub, this would be a good one. 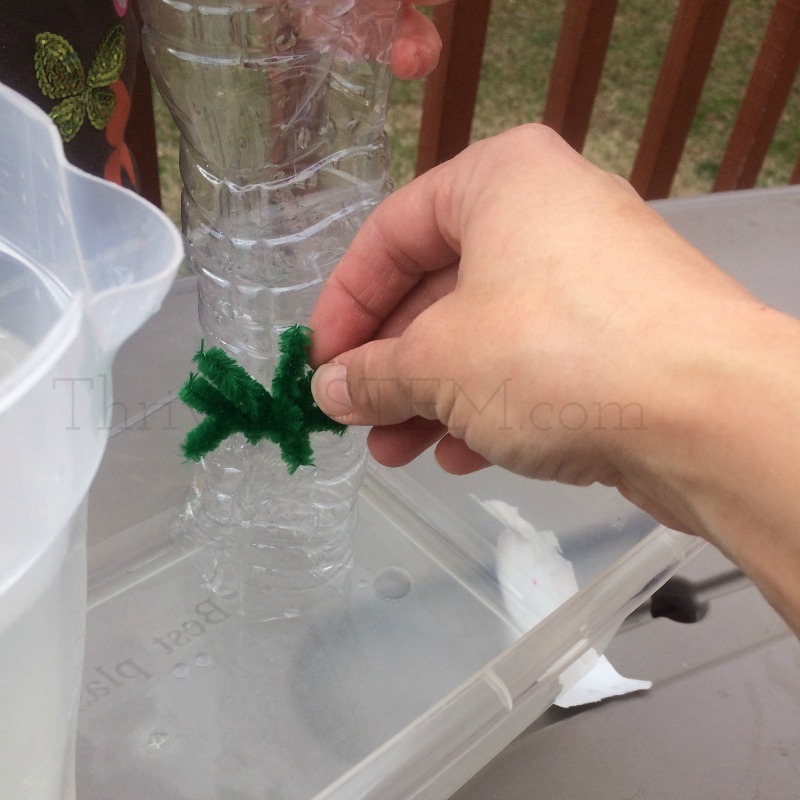 It also works as a bin activity or a water table activity. My older toddler is really motivated to learn to pour. My younger toddler was more interested in the sensory aspect. They're working on learning Newton's Laws. "A an object at rest stays at rest...until acted upon by an outside force." 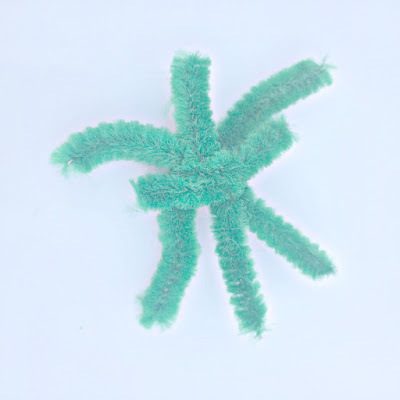 Make the spider by cutting a pipe cleaner in to four pieces and twisting them together. I introduced the activity by singing and playing through the song once. 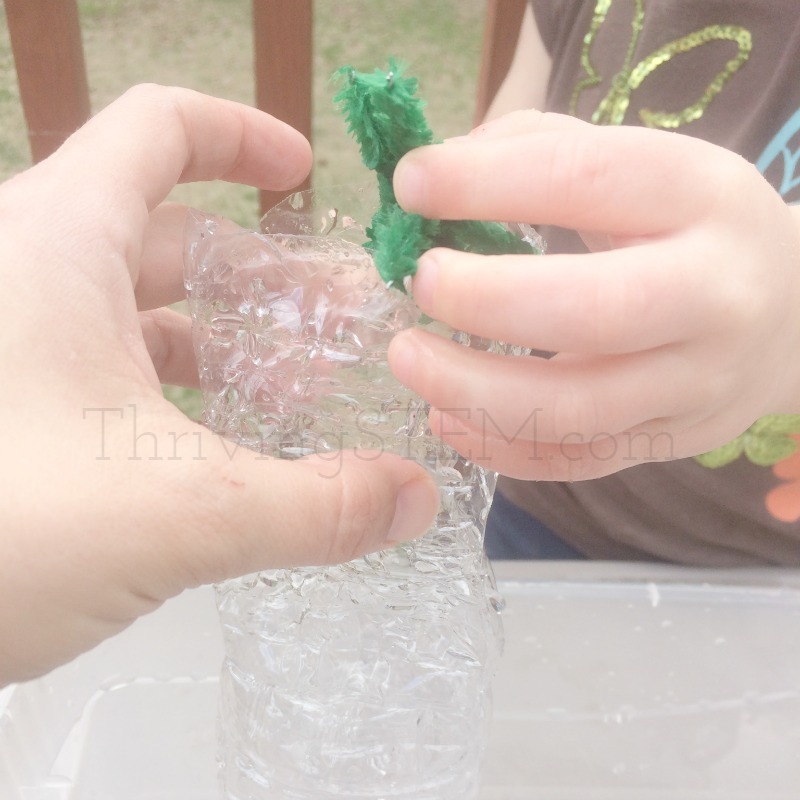 My three year-old was completely focused on pouring the water. Out came the sun, and dried up all the rain. After I acted it out once, I set them loose. 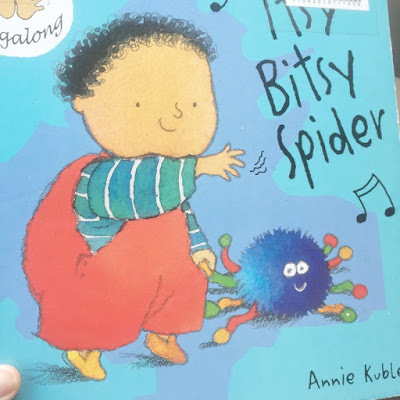 My one-year-old mostly enjoyed playing in the water, but my three-year-old enjoyed singing the song as she took the spider through the motions of climbing and being washed out by the "rain." 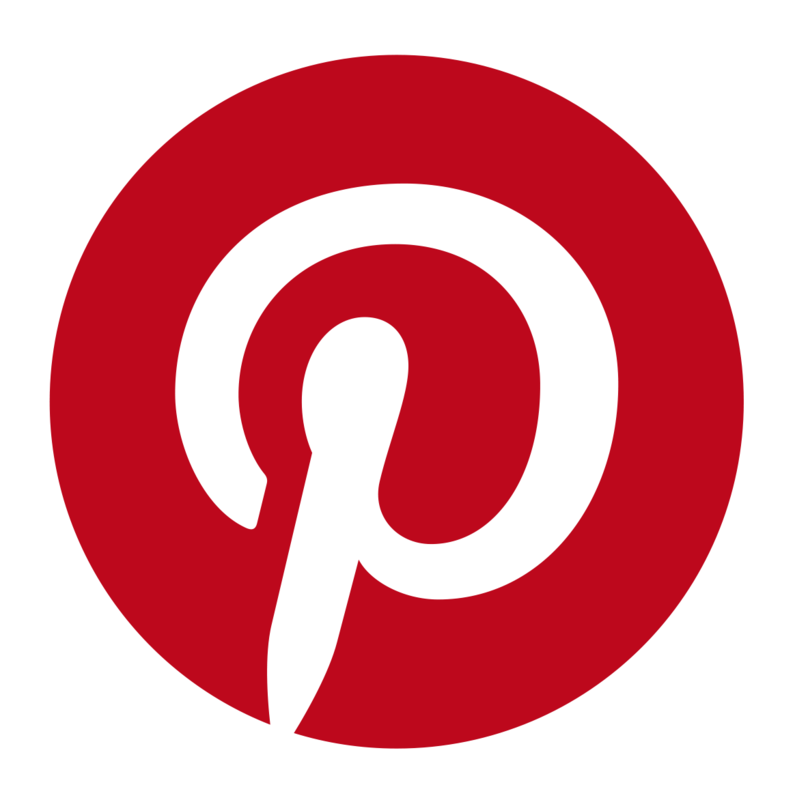 I've added the Kubler's Sign and Sing to our wish list. I think my little ones will enjoy signing it even more now that they've had the chance to play it. This would be a great summer time play activity. To be informed about more seasonal STEM ideas, sign up for the Thriving STEM newsletter. 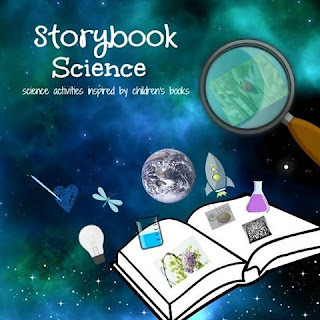 For even more awesome story book science ideas for kids of all ages, check out the story book science project hosted by Inspiration Laboratories. My daughter loves Annie Kubler's book. It's fun to act out the song along with the kids in the book. I love the exploration you set up. 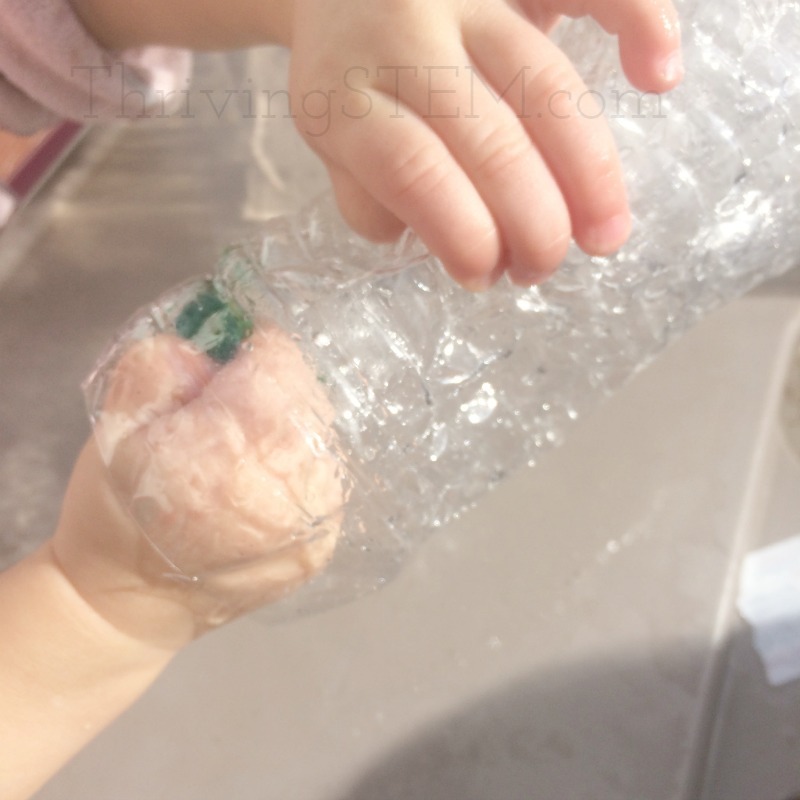 Anything to do with water play is a hit at our house! Thanks Trisha! Our house too- obviously.